Preventative Dentistry: An ounce of prevention is always worth a pound of cure. Here at Durham Dental that is something that we believe in, wholeheartedly. The best way to go about dental care is to make sure that all cavities and teeth cleanings are taken care of at routine visits. If you contact our office for your routine visit consultation then we can make sure to bring your smile to its healthiest, whitest, and brightest. Contact our hygienists here at our Durham Dental Office. 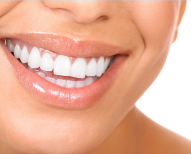 Our hygienists are as gentle as they are skilled, and we can whiten your smile brighter than its ever been. We have dentist who are experienced with top of the line technology such our Diagnadent screening system which is able to direct any cavities you might have. We have dental assistants with experience utilizing teeth whitening machines as well as oral cancer screening tools so that you never have to worry about being surprised. Do not hesitate and call us now for consultation: 919-634-6102. ​Dental Fillings: If you are ever found to have a cavity we can do any type of dental filling consultation you may need. We are able to do consultations for inlays, and onlays to rebuild your tooth to its optimal shape. Our dentists have been doing cavities for decades. We have staff that is skilled at delivering local anesthesia and making sure that you do not feel anything as we work to improve your oral health. We also have experience with new technology such as the anesthetic wand that is much smoother than the injections of local anesthesia for those high anxiety patients. We have state of the art equipment for your cavity removal treatments. Once we remove your cavities we can put in the latest technology with state of the art tooth colored dental filling materials. Let us know if you need a dental filling today. Call us now for a free quote. 919-634-6102. ​Sedation Dentistry: We do your dental work with sedation dentistry consultation whenever needed. We understand that going to the dentist can be a fretful experience. We want to make you as comfortable as possible with our sedation dentistry technique and experience. Our office is certified to do sedation dentistry consultations. Our dentist are sedation dentistry fellowship trained and can use agents from Nitrous Oxide gas to intravenous and oral sedation. We can have you in and out of the chair before you feel a thing. We can do everything you need to get your smile perfected today. This can range from procedures such as wisdom tooth extraction, to dental implantology. If you want a free quote on our sedation dentistry therapies then call our 24 hour hotline 919-634-6102. ​Dental Crowns: If you are looking to perfect your smile with a smile prosthetic then ask us about our dental crown consultation. We have dentists that make dental crowns with our fully stocked laboratory. We offer all types of dental crowns and dental bridge consultation so that we can turn your smile into the perfect smile. A dental crown is a work of art to be created by a sculptor. The dentist must create your smile from porcelain, gold and other materials. Do not go to just any dental office. Come to Durham dental for your dental procedures consult. Don't hesitate to call us.919-634-6102. ​Root Canal: Root canals are a procedure to be done when you want to save your tooth. Saving your tooth is a much better option than having it removed and then trying to replace it with a prosthetic tooth. Root canal is the final chance to save your tooth. We have skilled dentists that have been doing root canals for decades. We have dentist who are able to do your root canals under sedation as well. If you need to have a root canal do not forget to call us today for a free quote: 919-634-6102. 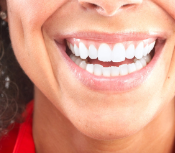 We have experience with teeth whitening trays as well as formal teeth whitening machines that we can use to make your smile the whitest and brightest smile possible. If you have stains on your teeth or have yellow teeth from coffee, chocolate or other foods then don't hesitate. Call us now 919-634-6102. We have a fully stocked laboratory with technicians as well as state of the art technology. We can do your snap on consults the same day. We have experience with the Cerec machine which can create your snap on within a millimeter of margin. We are dedicated to our patients. Call now for free quotes on therapy. 919-634-6102. Dental implants are the best way to replace a missing tooth. They are the most natural way to mimic a tooth that is missing from your upper jaw (maxilla) and the lower jaw (mandible). We have been placing dental implants for many years now. We have experience placing them with sedation therapy as well. If you have questions call now. 919-634-6102.